I was in Northern Michigan for the weekend having my annual ”reunion party” with my old college buddies. I took a drive on a hunt to find old wooden barns when I found this guy. I think this is my favorite shot of the trip (in terms of pretty autumn pictures). 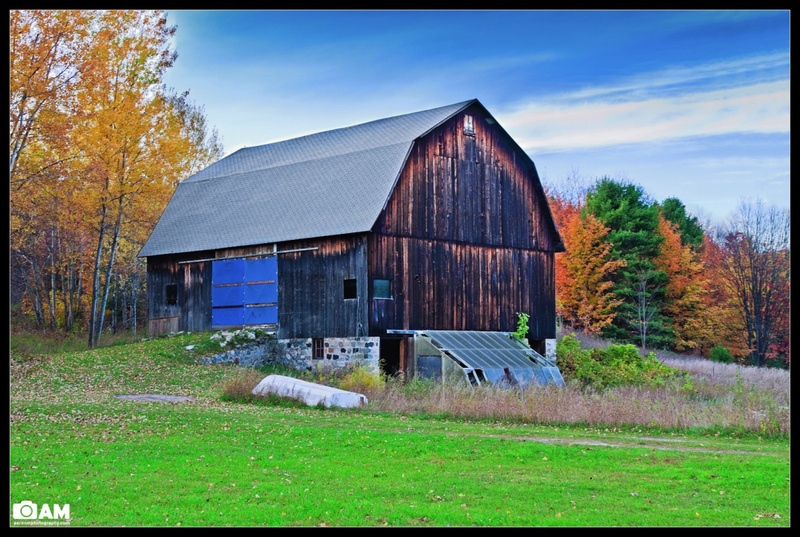 I’m not thrilled with it, but it’s good — it’s got the nice texture of the barn, the pretty colors of the trees, and stuff.